Students imagine that they are in a post earthquake situation. 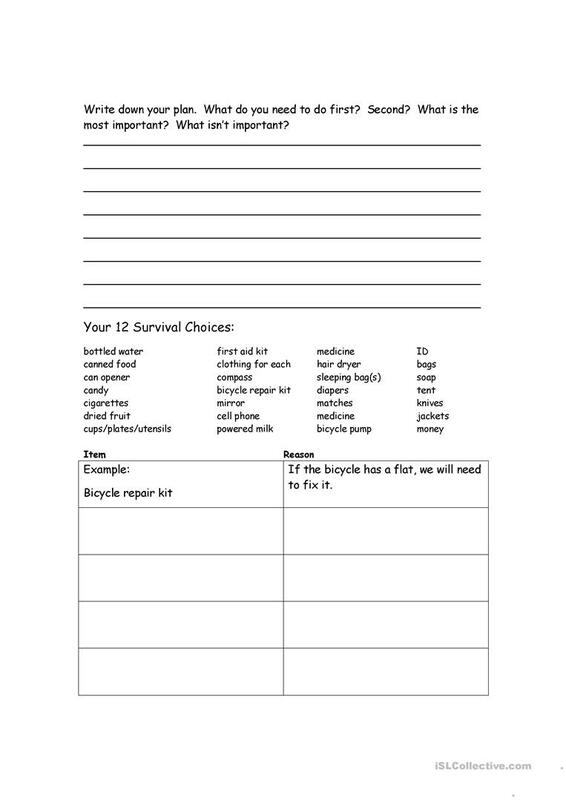 They must plan their response and choose 12 items from a list of goods. Good interactive activity. Students must justify their choices. This lesson can use conditionals or infinitive of purpose to explain reason. 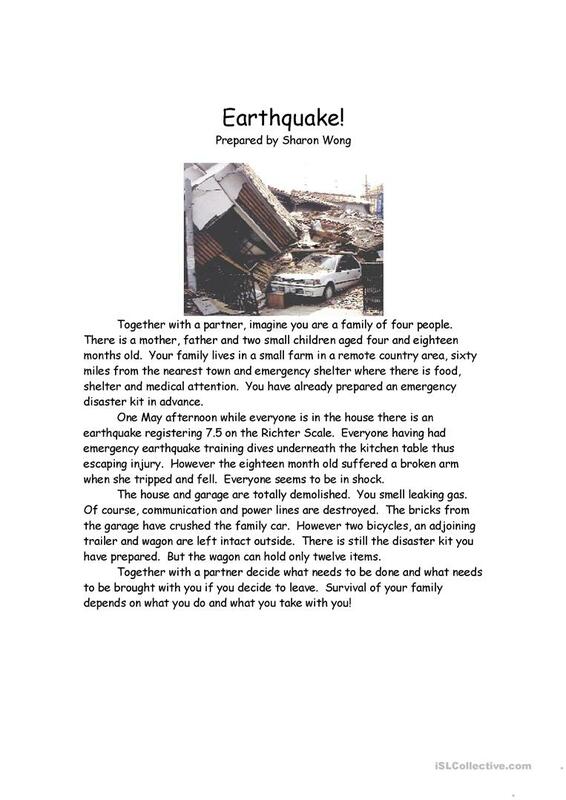 It is also a good review of household items or vocabulary related to earthquakes. 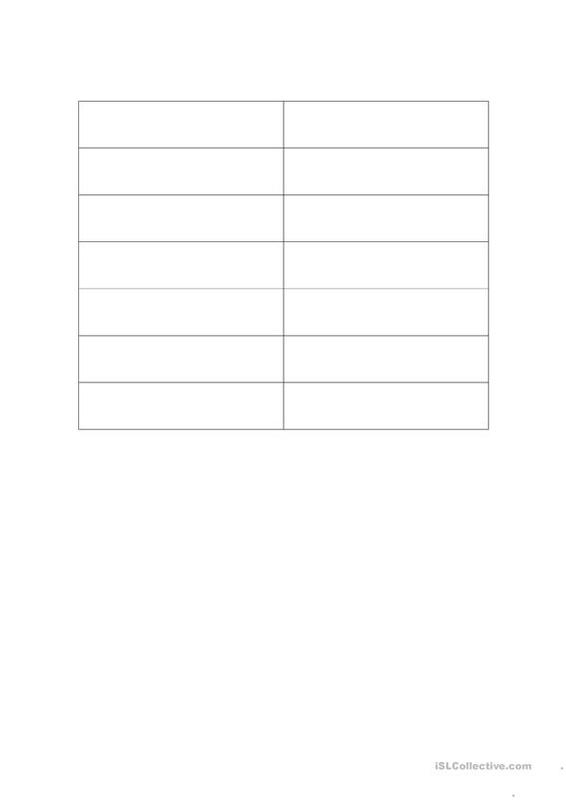 The present downloadable worksheet was created for high school students and adults at Intermediate (B1) and Upper-intermediate (B2) level. It is a valuable material for developing your pupils' Speaking and Reading skills.